The Viewsonic CD3225 Full HD 1080p Commercial LCD Display Monitor (32") offers a resolution of 1920x1080, brightness of 450 cd/m2 (typ), contrast ratio 5000:1 (typ), and an aspect ratio of 16:9. Featuring a 178° (H/V) viewing angle, it provides high-quality images at any height. 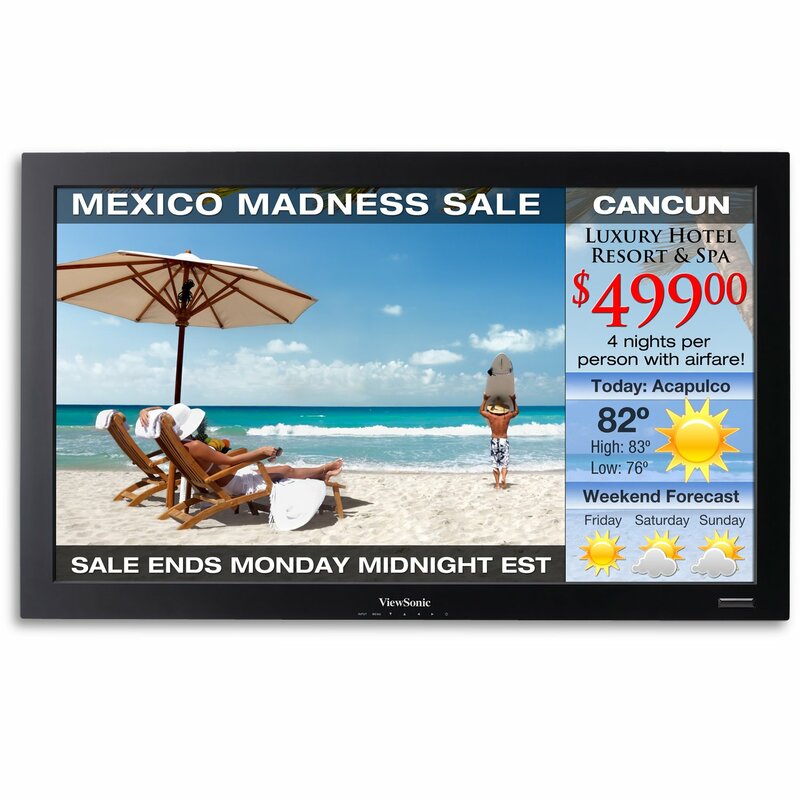 The monitor is ideal to be used in a digital signage system to display movies, internet pages, PowerPoint, and Flash files. Equipped with VGA, DVI, HDMI and S-video inputs/outputs, the CD3225 Commercial LCD Display Monitor offers flexible connectivity and control. It includes a 24V DC input for easy remote wiring. The remote and front panel control lock out prevents any unauthorized tampering of monitor settings. In addition to 2 built-in 6W speakers, the monitor has a screensaver that prevents image-sticking due to prolonged display of a static image. It can be installed on a STND-015 stand, or with a WMK-013 VESA wall mount.